Google Chromecast is a wonderful little thing, helping you connect your Android devices to the big screen seamlessly. However, your ability to cast any web video to Chromecast on Android is limited to the app or the mobile website you are using. While Google Chrome Browser comes with the awesome extension that helps you cast the entire browser tab to your TV, there is something that can help you bring the same feature to your Android. With the help of an amazing app called Cast Controller, you can supercharge your Chromecast to view anything. Created by Martin Kainzbauer, the Cast Controller app has been created for the Google Play Store and the Amazon App Store to unleash the streaming potential of your smartphone or tablet. The best part about the app is that it requires no special root access, and is available to download for free. The first time you open the Cast Controller app, you will be greeted with a feature tour of how the app exactly works. 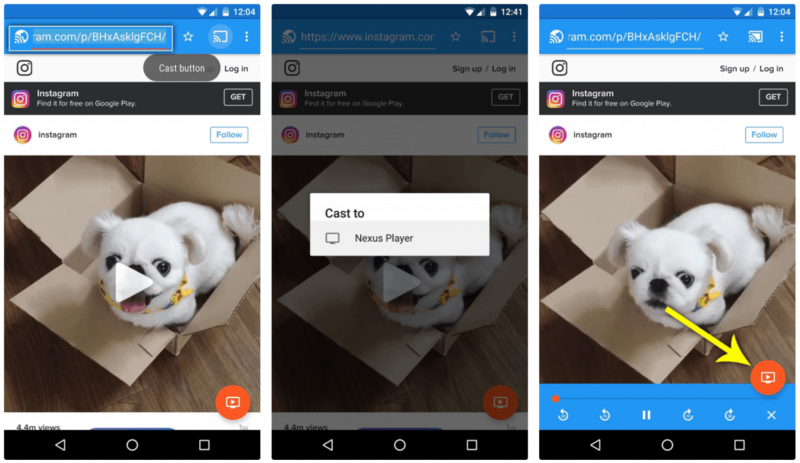 Basically, every video that you are able to play on your mobile browser will be able to work with the app and can be viewed on the big screen with the Chromecast. Using the Cast Controller app as a browser, navigate to a website with the address bar on the top. Once you have the desired video on the screen, press the cast button on the top-right corner of the screen and select your Google Cast device. As an added bonus, the developer has added a floating button at the bottom-right corner of the screen which turns orange every time a cast-supported video comes up. You can press this orange button to start playing the video on your TV and use the controls of the app to play, pause, and skip the videos as well.